The hit Netflix show was one of the firsts to provide adult entertainment on the big screeen and fans are eager to know when the second season will air. 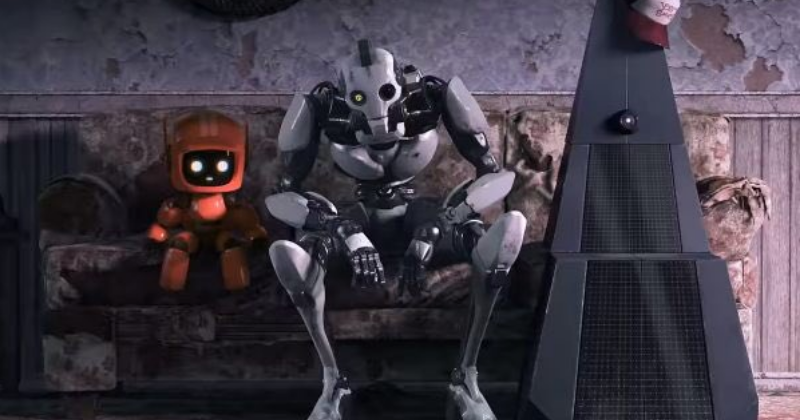 Tim Miller and David Fincher's 'Love, Death + Robots', an animated adult anthology series, burst onto Netflix earlier this month and received a very strong response from the viewers. The season 1 aired on Netflix on Friday, March 15, 2019, offering 18 different stories of varying lengths between six and 17 minutes long, each telling a totally unique story using different animation styles. The series is produced by Deadpool director Tim Miller in collaboration with David Fincher, and it’s easily the weirdest and mature TV series on Netflix. In the series, there was a lot of love from some quarters, along with praise for the varied animation styles, which is definitely excellent and a number of the standalone episodes which rightfully deserve praise, such as 'Beyond the Aquila Rift', 'Three Robots' and 'Ice Age'. But the most striking part is the way the Netflix series uses women's bodies in some of the narratives is concerning. The series will definitely not cater to everyone's taste, but fans of the show will want to know what the future holds for 'Love, Death + Robots' season 2. Release date and when will it air? After season one received a lot of critical praise, fans were eager and excited to know when the second season of the series will be coming on air. As of now, Netflix hasn't confirmed whether the anthology series will return for a second outing, so at the moment, your guess really is as good as ours. But, keep your eyes on this space and we will update as soon as any news comes out. On YouTube, Netflix hosted an eight-hour countdown to the series’ release, which is something very rare. Netflix’s “NX” Twitter account also dedicated nearly every tweet the week of the show’s release to promoting teasers and images from Love, Death & Robots. 2. When will the trailer land? Given the fact that the first season only aired on Netflix less than a month back, it is only natural that they won't be airing the second season anytime soon, particularly because the show's future is still in limbo. For anyone mature enough to appreciate what Love, Death & Robots is going for, they’re going to devour these 18 episodes in no time at all, and they are going to want more. Netflix is still excited about the series, and it is for good reason. It’s bonkers, totally original, and stirring. Every single of its episode is so short and disconnected, there’s no reason why Netflix wouldn’t be able to just release new episodes in small batches, either. But for now, it is all pure speculation, and fans can remain hopeful that more Love, Death & Robots might be on the horizon. 3. When Is the Love, Death & Robots Season 2 Release Date? If the series gets greenlit, for a second season at Netflix, there’s no telling when it might be released. Given the fact that the fundamental structure is so vast and different, the amount of production time needed to produce individual episodes could vary greatly. For all we know, Tim Miller and David Fincher might already be working on more episodes, and a handful of new shorter episodes might be released in as little as a few months. We’ll just have to wait for an official announcement.